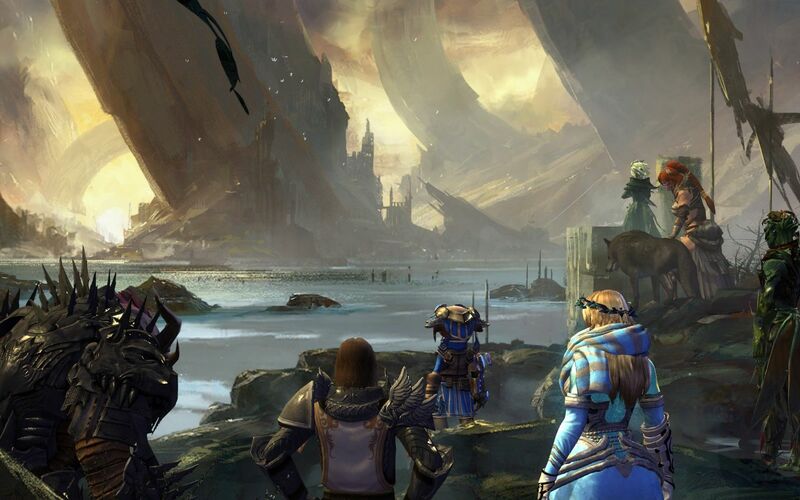 It was only the addition of the quest The Sword Regrown back in February that we finally saw the end of Trahearne‘s story, about four-and-a-half years after it began at launch. That’s quite a long time to tell a story, no? Reflecting on Trahearne’s tale and that of his most loyal companion “the Pact Commander” (that means YOU – ideally a sylvari player character) is going to dance between the story the writers were trying to tell, and the story they were actually telling. I have no doubt that playing a norn character as I did from launch feels completely wrong in the Personal Story past the Order missions (as in, the moment your Order Mentor dies and you become Trahearne’s mook). Everything past that. Once the “Flashpoint” episode of Living World Season 3 came out I couldn’t take it anymore and had a good long think. Playing a norn, the Personal Story is fine up until you reach the Order rank of either Magister of the Durmand Priory, Warmaster of the Vigil, or Lightbringer of the Order of Whispers, depending on your choice of Order. After that point it makes more sense to think of yourself as “companion of the Pact Commander”, basically a high ranking player mook who parties up with the real commander as an anonymous Magister, Warmaster or Lightbringer. Yes, the real writer-intended commander is a sylvari and don’t you forget it. This realisation was actually extremely liberating for my norn character, because the best story experiences I had were in the massively multiplayer open world and they happened in a much more organic way as you’d get from an Elder Scrolls kind of game. You go explore and the story presents itself in the world. What you get by not being the canon Pact Commander is a truly personal story, something any rebellious player would prefer anyway. 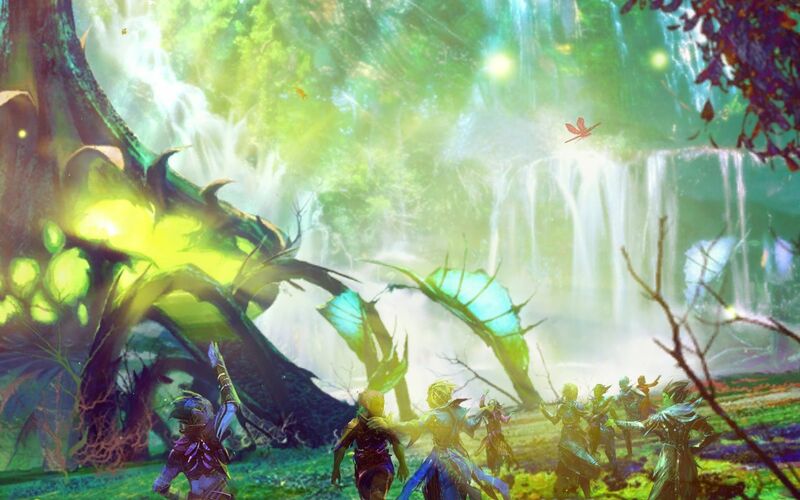 The battle against the Mouth of Mordremoth for instance, a gigantic Chinese-style dragon and the real “final boss” of the Heart of Thorns expansion, is a massively multiplayer battle that from a canon perspective the real Pact Commander is absent from. The players battling that monstrosity are supposed to be the remnants of the Pact Army, basically your battle-hardened high ranking Order types and NOT the Pact Commander. Of course what this reveals is a very tangled and messy story from a player identity perspective. What the writers have done is blur everything together. There is one canon story that only truly fits a sylvari player character, and the other races are shoehorned into it. This get VERY jarring in Heart of Thorns and in some of the Living Story episodes as a norn player, while the same details are acceptable as a sylvari player. While I myself only play norn and sylvari seriously, I have heard similar jarring anecdotes from the asura perspective, particularly as the asura player has the title of “Snaff Savant”, supposedly one of the great geniuses of the current generation. Yet asura players are constantly made to look like an imbecile by Taimi, the character best described as “the writer’s avatar”. Taimi is a godlike child with ridiculous abilities and knowledge, and an ego that dwarfs the planet. She personifies the writers, or perhaps just one writer. She’s an asura who makes any player asura look like an idiot, even though they’re supposed to be a genius in their own right. 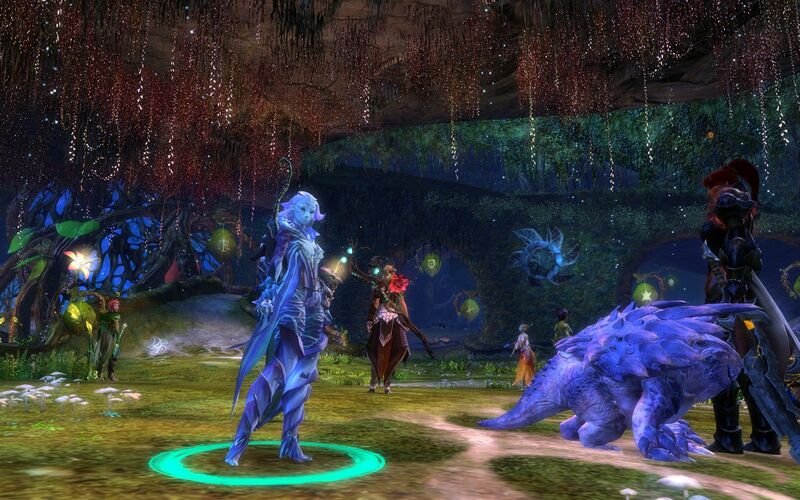 The relationship would be perfectly acceptable if the player was a sylvari, as the whole point of the sylvari is that they need constant guidance and are eager for companionship. 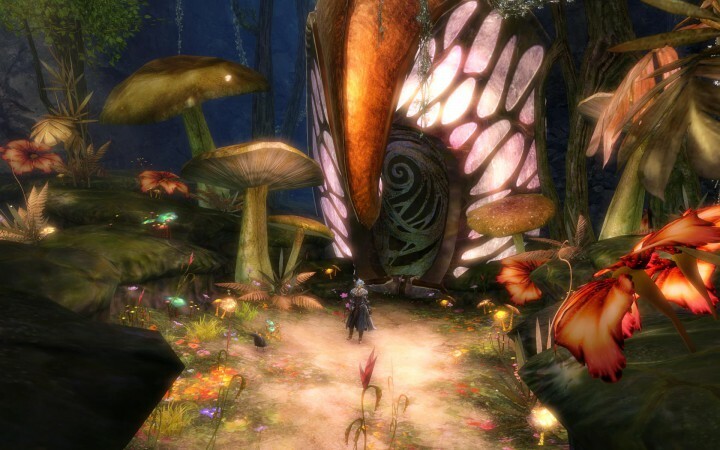 This is clearly (in hindsight) the intended relationship – a child-like sylvari player character in need of constant guidance and companionship and a patronising asuran writer’s avatar who provides that, together with a cast of secondary characters who became increasingly irrelevant with time. Oh, and Trahearne. Yes let’s get back to him. The context set out from the start then, is that the writer-intended player character is a sylvari. This will be true from the beginning of the game to the end of The Sword Regrown quest that occurs four-and-a-half years later, at which point your sylvari charcter is awarded the title “Knight of the Thorn”. The player at that point has succeeded Trahearne to become wielder of Caladbolg, thus also becoming the ultimate and one true champion of the Pale Tree, mother of all sylvari. The player is also the leader of the guild Dragon’s Watch, successor to the previous dragon-slaying guild Destiny’s Edge, which has disbanded. Trahearne’s tale then is very much a tale of two halves, first his rise in the Zhaitan arc and then his downfall in the Mordremoth arc. 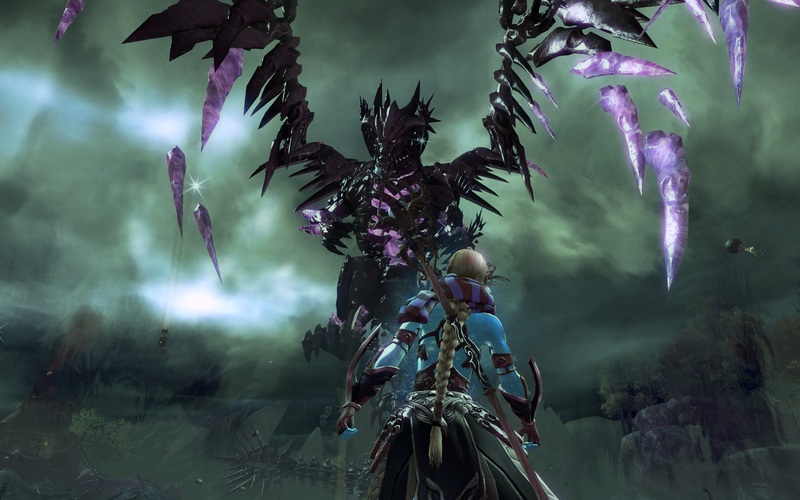 His constant companion and shadow is YOU, the sylvari Valiant with a fateful dream you have shortly before your birth, calling you to slay the Elder Dragon Zhaitan. This you learn is your “Wyld Hunt”, a destiny that you share with Trahearne’s sister Caithe. 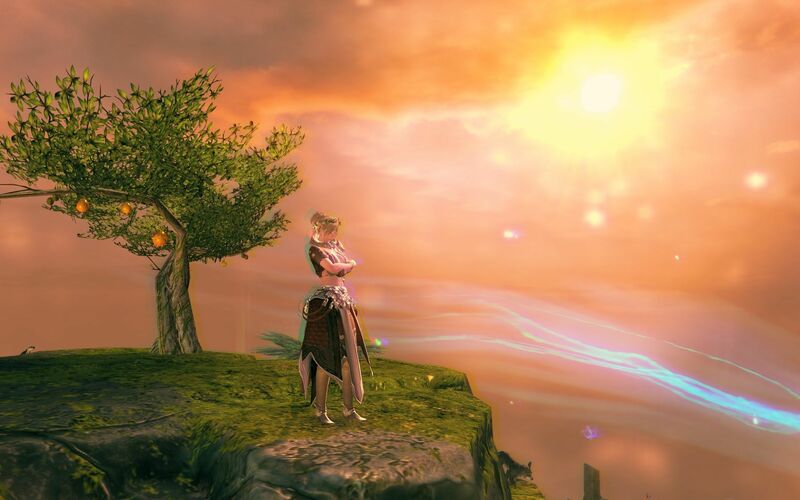 Caithe it is who takes you under her wing and mentors you, guided by her dreams sent by the Pale Tree, a being that is effectively the mother-goddess of all sylvari. Between the guidance of Caithe and the Pale Tree, the Valiant (YOU) blossoms into perfect fighting-form. Soon you are introduced to Trahearne and your stories are joined from here on. Superficially, Trahearne’s quest (Wyld Hunt) is to “revive Orr, the zombie nation”, while yours is to “kill Zhaitan, the scary dragon”. It’s a story that was put together by a host of people over a long period of time. Such things tend to acquire unconscious, dream-like symbols and projections from the deep collective mind of the authors, there to be spotted and interpreted. A tale consciously intended to be about one thing, can on an unconscious deeper level be about something else entirely. It takes a more intuitive sense to unpack dreams and what they represent, and the same is true for popular tales and mythologies. What is happening on the superficial level can be ridiculous nonsense, but if there’s something there that resonates in the back of the mind then we’ll find ourselves fascinated. That’s why we’re willing to look at talking cabbages (sylvari), steampunk cat people (charr) and gizmo-wizardry piranha-face dudes (asura, the real nightmare fuel of GW2) and not see a problem. I’m just going to casually suggest at this point that those beings aren’t normal. The deeper story is what is called the meta-story. It’s the story about the story, or the hows and whys it ended up being the way it is and what it’s actually saying. You see, often a writer or artist is being moved by inspiration they do not understand themselves, and it’s only in retrospect that they can figure out what it was they were trying to express. People are far more complicated than they can ever realise and they have far deeper and insightful thoughts than they imagine. So, superficially Guild Wars 2’s story is about two brave cabbage heads that go to a zombie continent to do some nature magic, and then they kill a zombie dragon with a magical airship. That makes perfect sense, right? Well, no. What they literally do is nonsense, but what they symbolically do is perfect sense. Admittedly all interpretations are subjective by the nature of interpretation itself, but I’ll tell you what I see. The Pact Commander (that’s YOU), is Trahearne’s faithful companion and what you do is confront a dragon and slay it. Symbolically, you’re confronting fear itself (the dragon) and expending a great deal of effort to overcome it (slay the dragon). Your motive is that you’ve committed yourself to Trahearne, a messiah figure who has the “worthy quest” (noble path in life) that will purify the land (redeem corrupt society), cleansing it of the zombie hordes (lost souls, irredeemable people, enemies) and make it good for life (the nice, acceptable people) once more. It could be said that all great stories are about morality or politics. The question “How should we live?” burns constantly in our minds whether we acknowledge it or not, and so naturally I think people write about it and lap it up even without thinking. It’s a constant hunger. So, what happens in the Mordremoth arc? The next air campaign did not go so well. The first thing that happens is that Trahearne is lost along with the dragon-slaying guild Destiny’s Edge and the Pact’s fleet of airships. What destroyed them is twofold: first, many of the Pact sylvari turn traitor and second; Mordremoth ravages the entire fleet of airships with gigantic tentacle vines, leaving much of the wreckage impaled at high altitude. Artistically, it’s terrifyingly beautiful. Indeed, the aftermath of this event is fully explorable as the in-game zone Verdant Brink (still a great zone that’s stood the test of time). What does it mean symbolically? What’s the meta-story here? Let’s take a look at the two sides and what they represent. Trahearne is still “the world messiah” that he was, leading “the free world” against “the next great danger”. They miscalculated disastrously and were crushed. The Pact Commander, usually Trahearne’s shadow, was absent chasing squirrels. It’s as if Trahearne had calculated one dragon to be the same as any other, that the solution to Zhaitan (air superiority and a vast army) would become the conventional solution, and he was proved wrong. He did not “know his enemy”, “know himself” or “know the battlefield” as Sun Tzu would say. Zhaitan was more like you’d expect an elder dragon to be. But no, Mordremoth was said to live in the ground itself like an immortal weed, controlling and manipulating from beneath the surface, and without any one critical physical form that could be destroyed to end the beast. Symbolically this represents a fearsome ideology (mind-controlling dragon), one that subverts “the establishment” (or alternatively, “the free world”) and crushes it from within, leading to violent revolution and ultimate tyranny. Mordremoth is most likely a metaphor (symbolic representation) for the 1984-style political movements that continue to exist today and poison everything in the name of “social justice” (see: sophistry). Terms such as postmodernism and neo-Marxism are the ones I hear the most, and their common theme is generally one of subversion and revolution. A real life Mordremoth with deep roots, crucially lacking any single leader to eliminate. As the Pact Commander, the player eventually turns up and vanquishes Mordremoth from within its own mind. This is an allusion to a battle of ideas and the notion that an ideology can only be defeated by replacing it with another, stronger ideology. You could even say that it represents a spiritual battle for a collective soul. It could also be said that what occurs overall is the phoenix-like death, destruction, and rebirth of the sylvari as a free people. And who do the sylvari represent? Who do they allude to? Perhaps it’s the Western millennial generation, or who knows. I’ll keep an open mind. A sylvari, looking gorgeous. They can’t help being awesome. Around a year-and-a-half after the Heart of Thorns release then, the story of Trahearne finally comes to an end. There was no fanfare in the February patch, just some humble patch notes about “Current Events”. 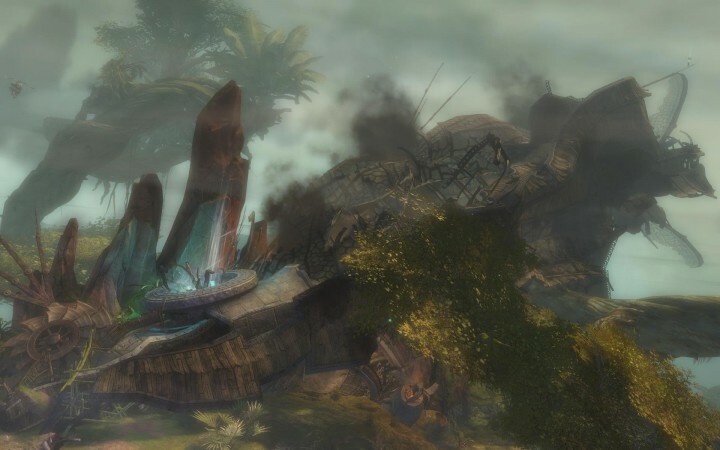 A memorial to Trahearne appeared in The Grove, the sylvari town, and a quest was added to reforge Caladbolg, the sword used by the Pact Commander to slay Trahearne at the end of Heart of Thorns. This was quite ironic as Caladbolg had been Trahearne’s own sword for quite some time, although this wasn’t the first time the player had possessed Caladbolg if they were a sylvari. Caladbolg is quite the legendary sword and it’s highly fitting for a sylvari player to get it back, finally, after all it’s been through. There is an Excalibur quality to it, a holiness given to it throughout the game, and its symbolic return to the player is a crowning glory. 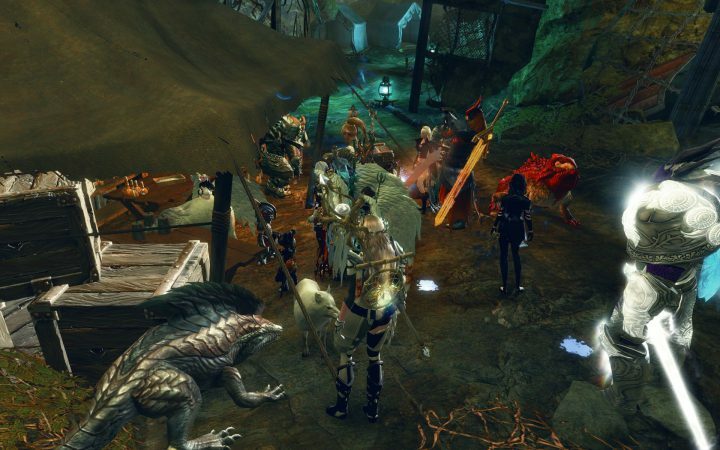 It’s not just “a” sword “in” Guild Wars 2, it’s “the” sword “of” Guild Wars 2. 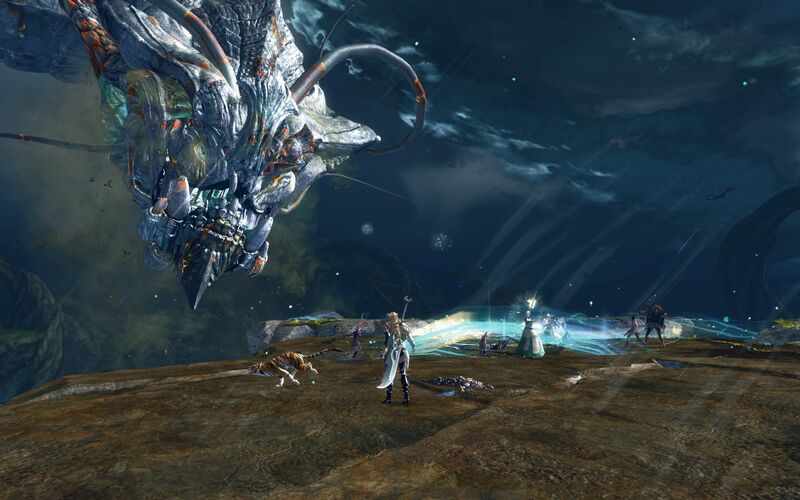 The very fact that its prolonged absence had bugged the developers to the point where they felt compelled to add a quest chain so that you could get Caladbolg back and have it in the story once more is a testimony to the symbolic power of holy swords. They are not just swords but badges of high honour, to be wielded only by the greatest champions! Contemplating years of story at the Osprey Pillars in Ember Bay. But I had to wonder, what does it mean for the player and specifically for a sylvari, the loyal companion of Trahearne for so many years, to now wield Caladbolg as their own true weapon? To be the one true champion of the Pale Tree, mother-goddess of the sylvari? You see, this is one more reason a sylvari is the writer-intended race of the Pact Commander, because it has so much more gravity. I would say that the sword Caladbolg represents individual will-to-power. This is a Nietzchean concept that encapsulates the desire to do something, the capacity to do it and the fact of having done it. People who exercise will-to-power change the world. That, indeed, is what the player character has done. I suppose the final challenge to the player is: how about you do something like that in real life? Go slay some metaphorical dragons (overcome your fears) and save the world (make the world a better place). It seems like a crazy story, but I like it.